Comprehensive information about Kahlil Gibran including biographical information, facts, literary works, and more. Khalil Gibran (Gibran Khalil Gibran, Kahlil Gibran, Jubran Khalil Jubran or Jibran Khalil Jibran) was a Lebanese artist, poet, philosopher, and writer. 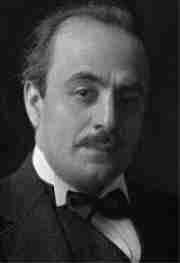 This educational Kahlil Gibran resource has information about the author's life, works, quotations, articles and essays, and more. Articles about Kahlil Gibran or articles that mention Kahlil Gibran. Here are a few random quotes by Kahlil Gibran. Our worst fault is our preoccupation with the faults of others.